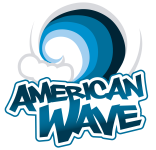 AMERICAN WAVE MIAMI is a young company, run by its owners. Located in the best place of south beach, facing to satisfy all the needs of customers, both beach items as in clothes to spend a nice stay in miami beach and to bring to their places original gifts and souvenirs. Want an original gift? Send us your photo, think about a nice text, and we stamp your custom shirt. Need a uniform for your company? We will do, we stamp your logo. American Wave Miami where the customer is a friend.